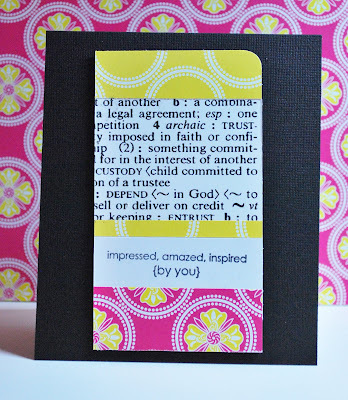 today i am playing around a little with card making. for me card making is the cornerstone of my scrappy-art. it's part of the live-create-share theme that has been in my mind for awhile now. i love the sketch of her card, and want to utilize it again with a bit more freedom of color and form. i'll let you know what i come up with. the kiddos and i are off on a little day trip. it's hot here in the rockies...how about where you are? i am really anxious to try some card making this summer. where'd you go to escape this heat? i am thinking a trip to the pool next week sounds good!